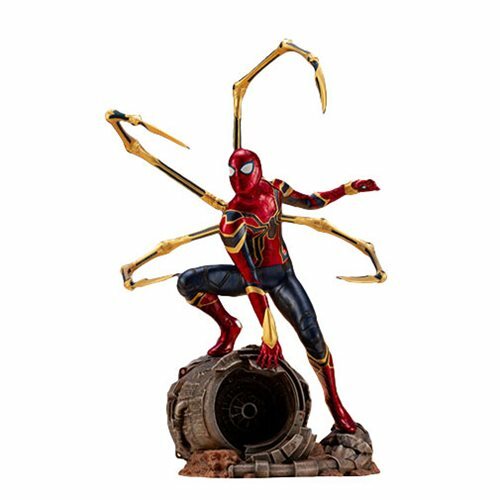 The next character to join Kotobukiya's lineup of ARTFX+ statues from the record breaking Avengers: Infinity War is the rookie Avenger and everyone's favorite friendly neighborhood Spider-Man! 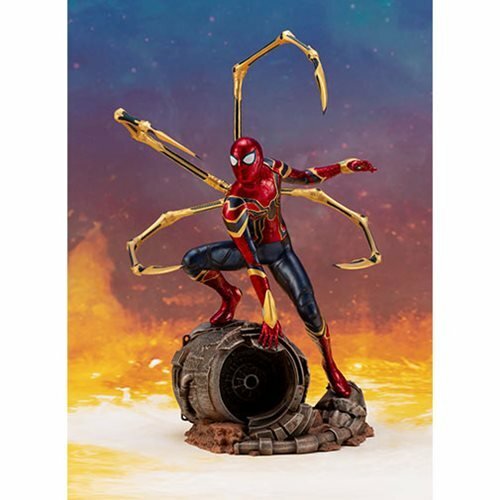 Peter Parker is decked out in the Iron Spider suit that fans first got a glimpse of in Spider-Man: Homecoming and finally made its debut in Avengers: Infinity War. 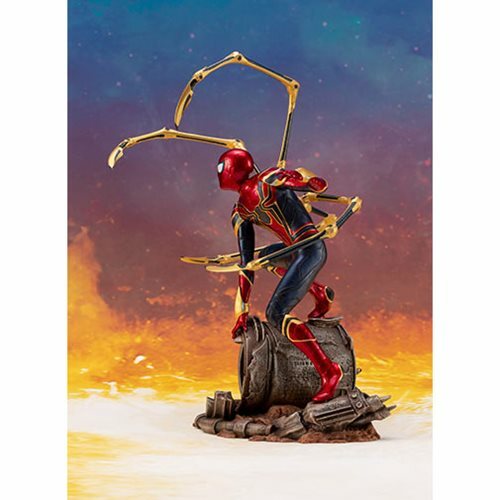 In addition to the new sleek design, the suit's most noticeable feature are the metal pincers that extend from the hero's back, giving the statue an impressive size and height that rivals the Avengers: Infinity War Thanos 1:10 Scale ARTFX+ Statue (sold separately). 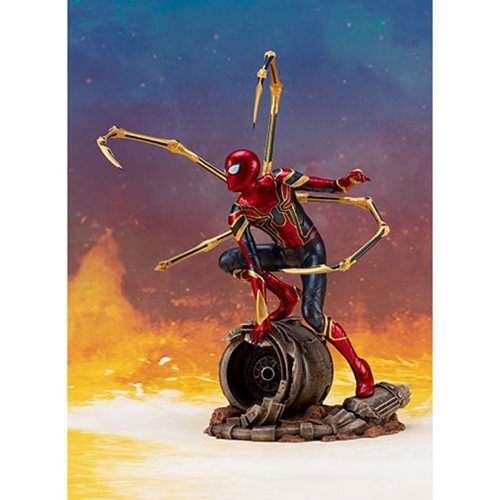 The statue's diorama base is designed to look good displayed along the other Kotobukiya Infinity War statues. 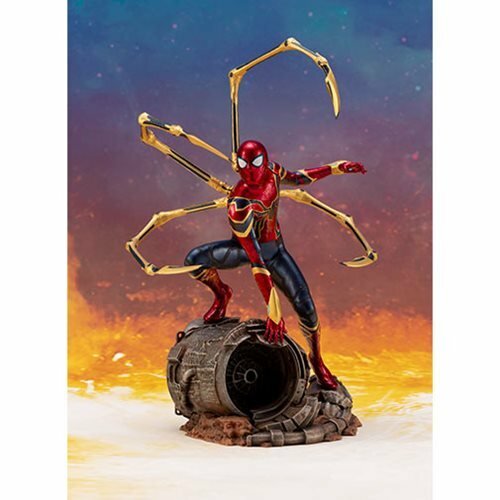 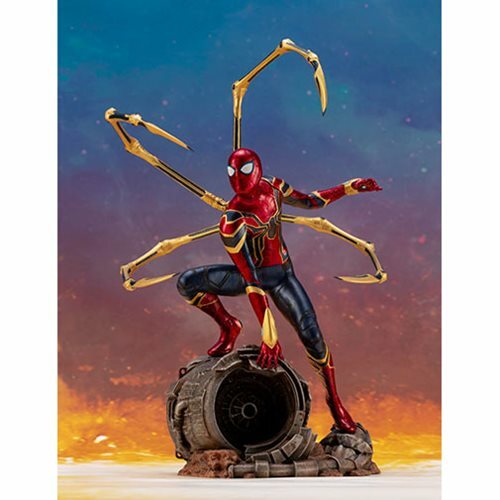 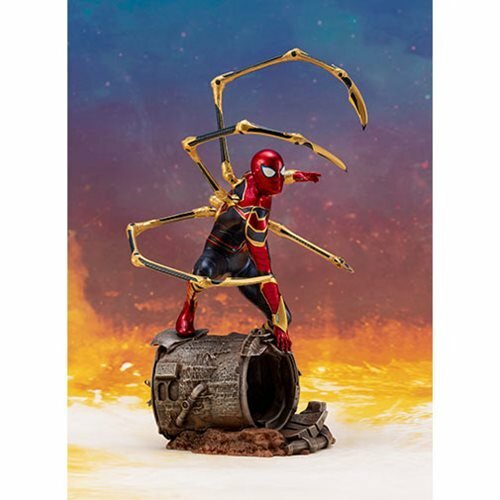 Iron Spider is part of the ARTFX+ series, which brings popular characters to your collection as high quality 1:10 scale statues at an affordable price. 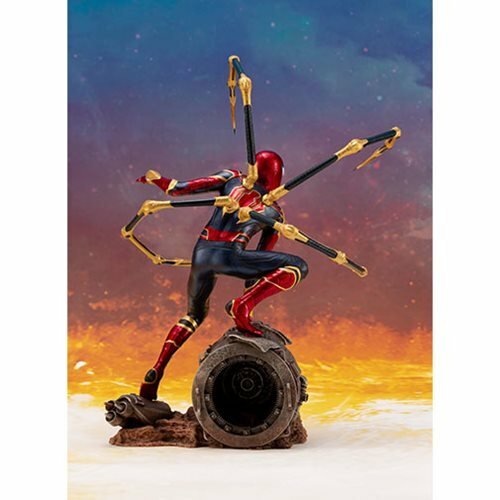 These pre-painted PVC kits consist of snap-fit parts that are easy to assemble and display right out of the box. 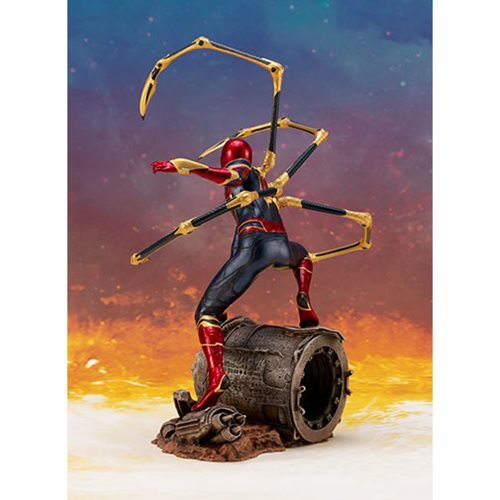 Stands roughly 11-inches tall.